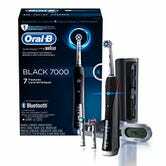 Oral-B Pro 7000 SmartSeries Toothbrush | $100 | Amazon | Clip the $20 coupon. 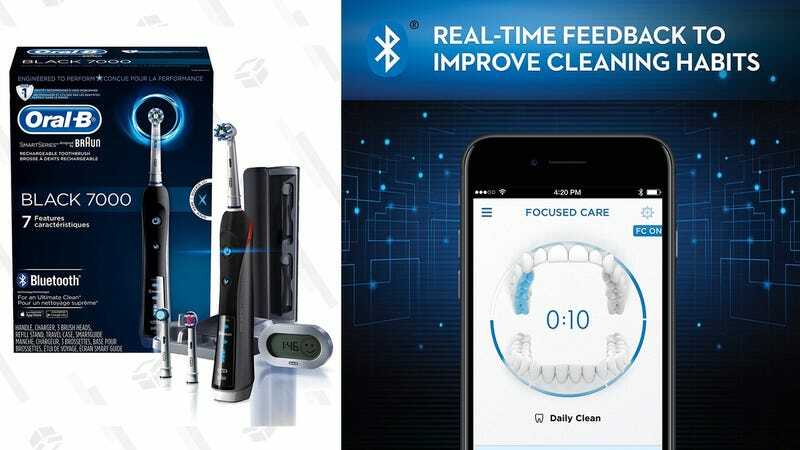 $100's a solid price for any top of the line electric toothbrush, and Oral-B’s Pro 7000 SmartSeries add Bluetooth to the mix, just for kicks. In addition to six different cleaning modes (including one for your tongue), a travel kit, a pressure sensor, and a timer, the Pro 7000 also syncs to an iOS or Android app that tracks your brushing habits and offers personalized feedback. I know a lot of people are reflexively against the Bluetoothification of everyday household items, and that’s fine. What I’m saying is that even if you never download that app, this is still a fantastic toothbrush at $115. Just be sure to clip the $20 coupon on the page to get the full discount.